MUMBAI: Actress Sonakshi Sinha has rewritten the lyrics of Honey Singhs hit "Love dose", and will sing it during the Da-Bangg tour. Sonakshi has rewritten from a girl's perspective and will be seen performing it as part of every city's act. The tour, which also features stars like Salman Khan, Katrina Kaif, Jacqueline Fernandez and Daisy Shah, will begin in Atlanta on Friday. "I'm really excited about the tour more so because I will not just be dancing, I will also be singing something special," Sonakshi said in a statement. "My music team and I have created a brand new rendition of 'Love dose', one of my favourite songs of Honey Singh, changing the lyrics from the point of view of a girl. I worked on it amidst my dance rehearsals and between my shoot for Kalank in this first schedule. "The song has come together really well and I am hoping we have the audiences swoon and enjoy it as much as we did recreating it. 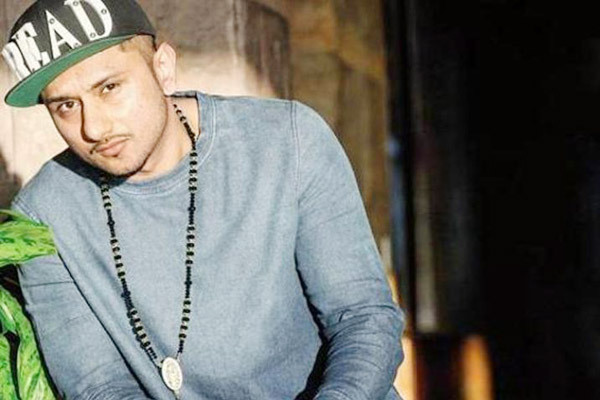 I'm sure Honey (Singh) will love it too," she added. According to a source, the actress is going to perform the new rendition as part of the tour across US and Canada. MUMBAI: Singer Dhvani Bhanushali of Dilbar fame has shot a video of her upcoming song at St. Xavier's College here. She hopes to take her fans back to their college days through her music video.